AYUSA is looking for American families interested in hosting high school foreign exchange students for the 2010-2011 school year. 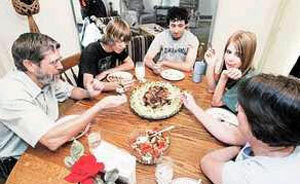 Youth Exchange and Study (YES) Program provides scholarships for high school students from countries with significant Muslim populations to spend an academic year in the U.S. Students live with American host families, attend high school, engage in activities to learn about American society and values, acquire leadership skills, and help educate Americans about their countries and cultures. 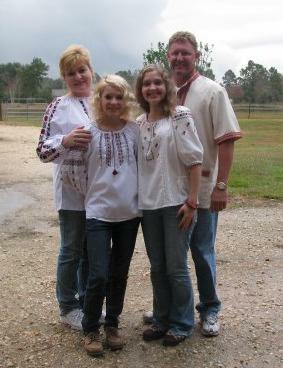 All through my middle school years and some of high school, my family volunteered to host a foreign family through Colorado State University. We were in charge of making a family studying there feel welcome and comfortable in the U.S. These families came from several Central American countries such as Belize, Costa Rica and Guatemala. After the families finished their studies at CSU, they would return home but continue to send out their younger nieces, nephews or cousins to stay with us for a few months at a time to better their English as well as just to experience the culture. Hosting a student is a great experience and it opens endless possibilities for future trips, friendships and learning. Each year more than 28,000 high school students from around the world come to the U.S. to study as part of U.S. government-sponsored foreign exchange programs, like the YES program. The students, ages 15 to 19 years old, are placed with volunteer host families in communities across America. AYUSA YES students come from the following countries: Bahrain, Bangladesh, Cameroon, Gaza, Israel (Arab Communities), Jordan, Kuwait, Lebanon, Liberia, Mali, Morocco, Oman, Pakistan, Qatar, Senegal, Sierra Leone, Suriname, Tunisia, West Bank, and Yemen.